Pearl Jam have added a second date in Amsterdam to their upcoming European tour. Following the month-long run’s opening night at the city’s Ziggo Dome on June 12, the Seattle rockers will now perform at the same venue on June 13. A Ten Club presale is underway with general public tickets on sale Friday, April 6 @ 10am CET. The band just wrapped up a series of shows in South America last month, which saw them play Lollapalooza festivals in Chile, Argentina and Brazil, as well as a headline concert in Rio de Janeiro, Brazil. 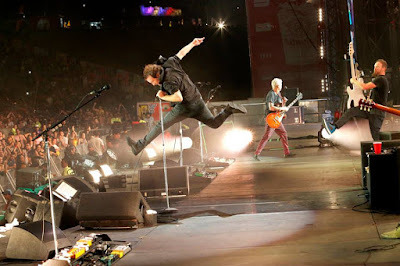 Ahead of the spring concerts, Pearl Jam released a new single, “Can’t Deny Me”, as a preview to their first new studio album in five years. Recorded in Seattle in February, the tune was co-produced by Pearl Jam and Brendan O'Brien and issued to the band’s Ten Club members a few days ahead of it being available on download and streaming services. Pearl Jam will begin a brief run of select US stadiums in August.